Diapers can be so expensive! Why pay full price? 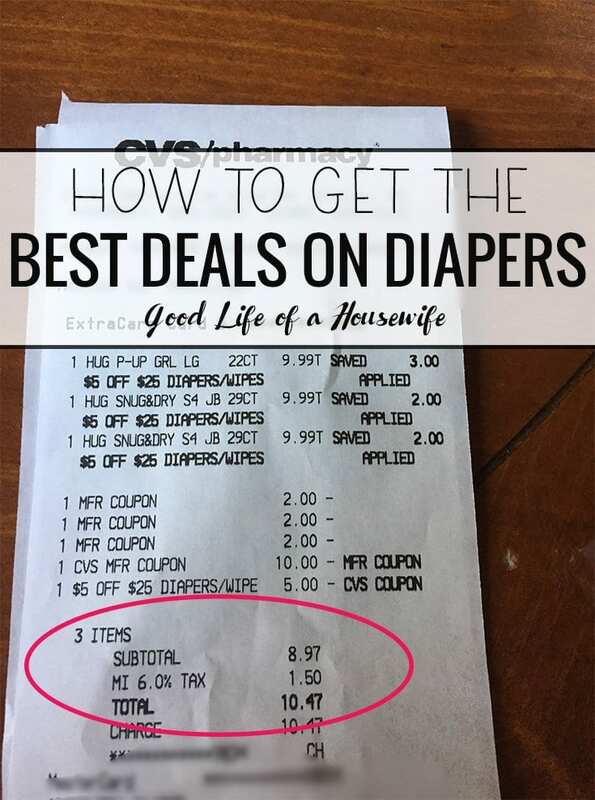 While I have lots of tricks to getting free and deeply discounted diapers, here is my favorite trick to getting free diapers. 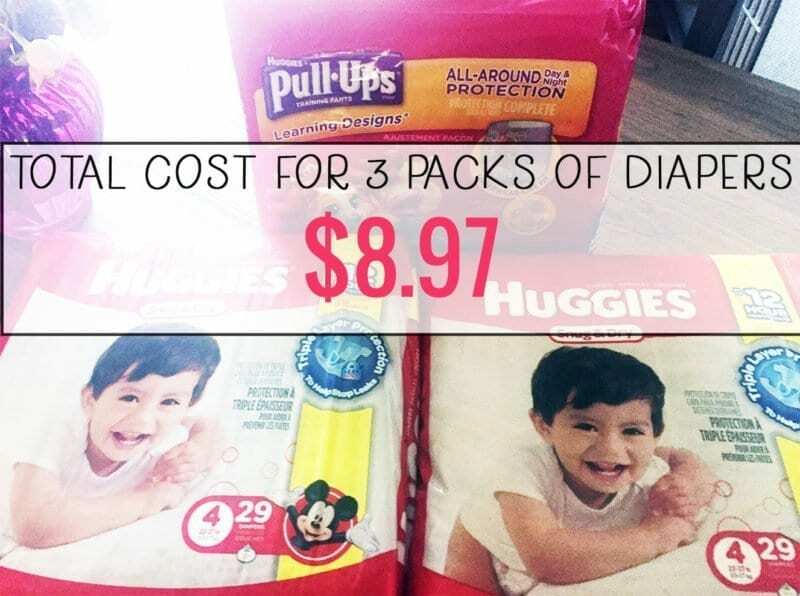 If you read my post, Why it’s Worth it to Coupon, you will see at the bottom how I got 3 packs of Huggies Diapers for less then seven bucks total. After I wrote that post I decided to take my pumpkin for a walk and pick up some more diapers, at a pretty great deal, not the best ever, but still good. I purchased two packs of Huggies Snug and Dry and one pack of Pull-Ups for a whopping out the door total of $10.47. Before tax it was only $8.97. It’s like “buy one get two free,” or 2.99 a pack! I have been able to take advantage of these deals (usually) a couple of times a month. Sometimes I get lazy because I have a few packs stockpiled. Sooner or later I pick up where I left off. So, if you were to walk in and get these items regular priced, you would pay $12.99 for Pull-ups, and $11.99 for the Huggies or a total of $36.97. Pretty steep. But, on a sale week, they are usually advertised for $9.99 each. Without fail, for the last year I have been able to find $2.00 coupons for Huggies, usually on coupons.com, sometimes in the paper, or even cvs.com/coupons, or straight from the Huggies website. Along with the sale price, I wait for the spend $30 receive $10 Extra Bucks. This is how I save the most! The first time you do this you will have to pay more because you get the Extra Bucks after you pay. Every subsequent trip thereafter, as long as you don’t let them expire, you can use them towards your next purchase. I will also get savings in my CVS app for diapers. Today I had a $5 off of $25.00 on diapers. I can’t guarantee, but for me I have found CVS gives me coupons on things I buy. Once you start buying diapers, you too, will most likely see coupons for them. If your paperless, you may also get coupons on Thursdays in your inbox for CVS such as $6 off $30, 25%, etc. You can only use the percentage off coupons (30%, etc.) on full priced items (not a sale special). BUT you can usually use the dollar off coupons on anything! So keep your eyes peeled for those. You may even get them weekly(like I do)! So that’s like 2.99 a Pack of Diapers + Tax or Buy One Get Two Free! However, you like to look at it, that’s a great deal for diapers. Thank you CVS! 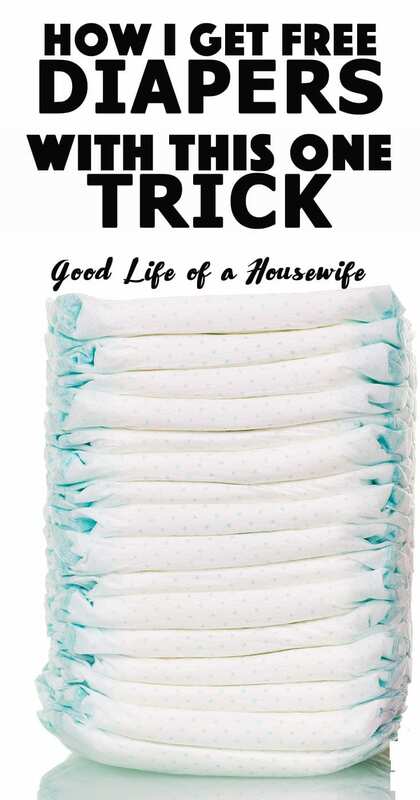 I hope this trick works to save you some money on your diapers! 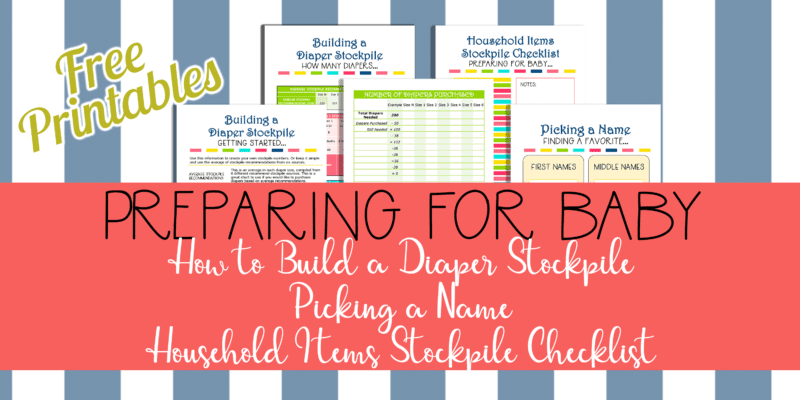 >>Download below my free printables to help you stockpile diapers before baby arrives.